a durable exterior aluminum frame and internal honeycomb frame which creates a durable “cage” that expertly protects the Aaton Cantar X3 inside the bag. The bag comes with two detachable handles that can be folded into the bag for easy carrying and includes a padded shoulder strap. 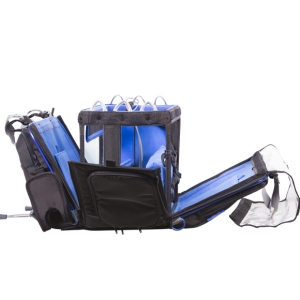 The shoulder strap can be connected to any of the TPU loops at the top of the bag. This allows the user to balance their load as needed. 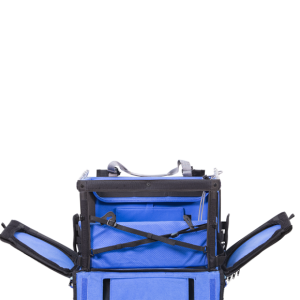 The bag can be accessed from all 6 directions, which helps the operator arrange and access the equipment inside easily. There are two external pockets. One pocket at the front for storing headsets, cables, batteries, etc., and a back pocket that can hold an NP-1 battery or any other battery to power the mixer. At the front pocket there are two hook and loop straps to hold a boom pole. The bag’s top is covered with transparent TPU, that can be positioned in any direction as per the operator prefer. 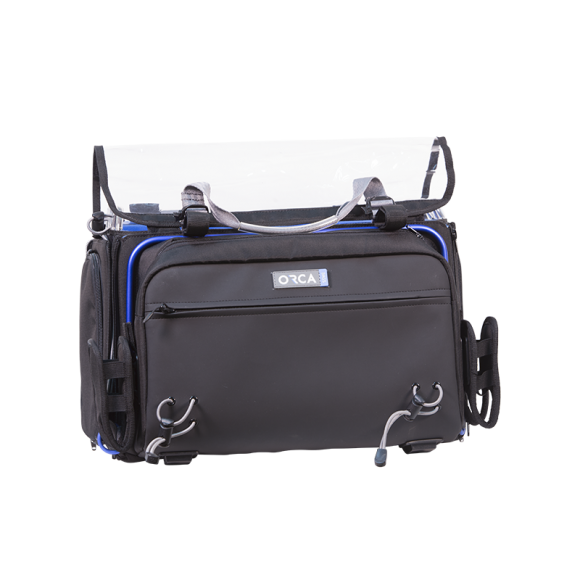 Included with the bag are two external detachable pouches that can store any receivers. In order to position the AATON mixer inside the bag, the sliding secure system or the large back sponges can be adjusted to secure the mixer. These features help the operator to position the mixer as needed. The special sliding secure buckle system safely holds the mixer in place.